Aside from two outstanding scores—Michael Giacchino’s moving epic music for “Dawn of the Planet of the Apes” and Alexandre Desplat’s bombastic fury for “Godzilla”, it has been a dismal year for fans of memorable film music. The year’s biggest blockbuster, “Guardians of the Galaxy”, sent moviegoers scurrying to their smart phones as the credits rolled to buy the catchy (and brilliantly utilized) collection of joyful ‘70s pop classics—as opposed to the original score actually playing on the credits—a functional but tepid assembly of weak, undeveloped musical meanderings barely heard during the movie. 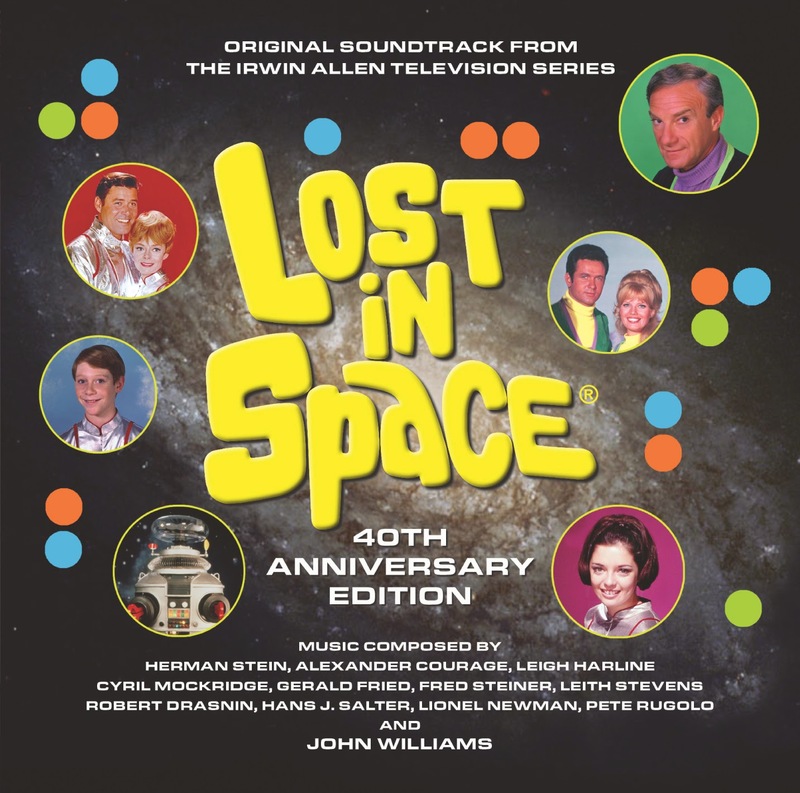 It is hard to believe that nearly fifty years ago music was being written for the debut of a CBS television series called “Lost in Space” with a level of astute musical craftsmanship and complexity far beyond anything likely to be seen at a multiplex—or anywhere else—in 2014. John William’s music for the Irwin Allen television trio of the 1960s (“Lost in Space”, “Land of the Giants”, and “Time Tunnel”) is a stunning body of innovative work that helped lay the groundwork for his legendary career scoring many of the greatest blockbusters and acclaimed dramas of all time. In many ways, Williams used utilized these shows as an experimental canvas in the same way Michael Giacchino used “Lost” to create musical ideas he would come back to and develop further in films such as “Super 8”, “John Carter”, and “Dawn of the Planet of the Apes”. 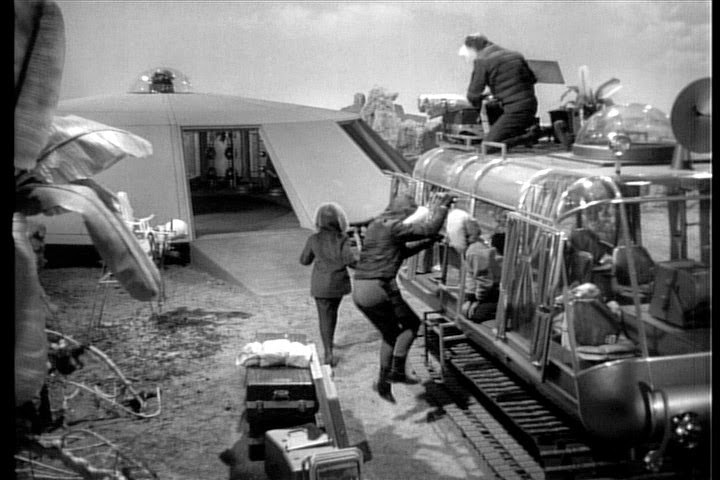 Of the three Allen shows, it is “Lost in Space” where Williams spent the most time honing his magical artistry, and there is perhaps no better example than in “Island of the Sky”, the third episode in the show’s glorious black and white first season. “Lost in Space” is now famous for its campy style featuring the buffoonery of Dr. Smith. But during the first season—especially the early episodes—this was a serious, dramatic, (and wonderfully melodramatic) adventure show, and John Williams (under the guise of “Johnny Williams”) scored it as such. The score to “Island in the Sky” can be found in its entirety in the 40th anniversary soundtrack by La-La Land and in a less than complete form on Volume One of the old GNP Cresendo set. “Island in the Sky” opens with “Strange Planet/John’s Descent”, a powerhouse suspense cue that builds with a pulsating wave of brass, flourishing with both vertical and horizontal movements beyond the grasp of most composers working today. Immediately there is a sense of danger and mystery. The amount of musical depth packed into this short cue is amazing. Many moments feel like they could be out of the darker shadings of a “Star Wars” or “Indiana Jones” movie. “Helmet It” is downright scary. Among the many treasures to indulge in here are some of William’s best horror music moments foreshadowing later work in “The Fury” and “Dracula”. “Strangle Hold/Landing” is the showcase piece of the score; an absolute knockout action cue bursting with layered motifs, propulsive brass, escalating rhythms, and a relentless sense of excitement. This 6:27 cue is a precursor of many set pieces featured in future William’s blockbusters. This complex, intricately action music that is always accessible and goes somewhere with a sense of purpose. “Lil’ Will and The Robot” continue the suspense and dramatic tension with escalating swings of brass in what became the trademark music of this series, and reservoir of motif gesturing used in later works by Williams, especially “Jurassic Park” and “The Lost World”. “Search for John” is a full-fledged, beautifully crafted dramatic suspense cue with a building sense of mystery and danger. The excitement and shimmering wonder continue as the score soars to its finale in “Monkey’s Doo”, “Operation Rescue”’ and “Personal Chauffeur/Electric Sagebrush/Will Is Threatened”. Every moment in this score has something musically rich for the ear to hang on to. As with his future works. Williams always develops his ideas and knows where he wants to go with them. Bottom line: “Island in the Sky” is an exciting, propulsive, colorful, avant-garde musical masterwork and a wonderful chance to explore the musical formations of John William’s blockbuster style of scoring.